Bridgetown, Barbados (23 November 2018) – The Caribbean Tourism Organization (CTO), the region’s tourism development agency, is soon to publish a disaster risk management (DRM) guide for the region’s tourism sector as part of its objective to foster a culture of preparedness in destination management. The publication, which targets tourism businesses and policymakers, will help guide the tourism sector’s preparedness, response and recovery from the multiplicity of hazards that impact and/or potentially threaten the region. The handbook, which is expected to be finalised next month and launched early 2019, is one component of the ongoing project, “Supporting a Climate Smart and Sustainable Caribbean Tourism Industry (CSSCTI)”. This project includes a series of training workshops in disaster risk management and climate resilience, aimed as sharing knowledge and best practices on strategies related to climate change mitigation and adaptation, as well as identifying sound DRM approaches, to enhance tourism sector preparedness, response and resilience to climate-related hazards. A team of consultants from the University of Technology of Jamaica (UTech) has been engaged by the CTO to produce the ‘Disaster Risk Management Guide for the Caribbean Tourism Sector: A Practical Handbook for Tourism Business and Policymakers’, and to facilitate the workshops - two days of training on DRM followed by a one-day training programme for trainers to help build local capacity. The target audiences are tourism practitioners and decision-makers from the public and private sectors, and representatives from key ancillary sectors such as air and sea port authorities and disaster management agencies who play a key role in tourism disaster management. In this first phase, five countries: The Bahamas, Belize, Dominica, Haiti and Jamaica are benefiting from this training, with workshops having already been held in the Bahamas, Belize Haiti and Jamaica, while the workshop for Dominica will be held in the coming weeks. “Given the vulnerability of the tourism sector to climate-related disruptions, the CTO is pleased to deliver this training to our member countries as part of efforts to support climate sensitisation and capacity enhancement in disaster management. As we move towards realising the vision of an industry that is climate smart and resilient, we must make every effort to reduce the risks of climate change and related hazards by effecting the necessary policies and being trained to respond swiftly and efficiently to manage and mitigate risks” said Hugh Riley, CTO’s secretary general. 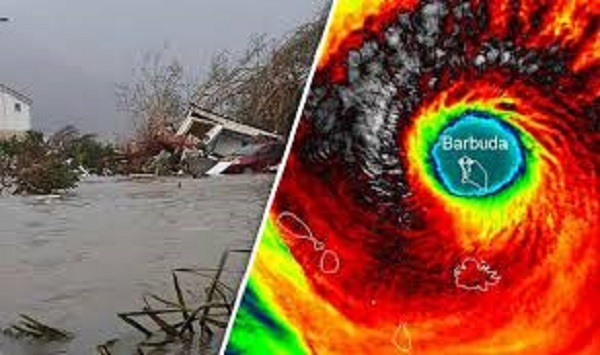 The CSSCTI project is funded by the Caribbean Development Bank (CDB) through resources allocated under the African, Caribbean and Pacific (ACP)- European Union (EU)- CDB Natural Disaster Risk Management (NDRM) in CARIFORUM countries programme. "CDB recognises the enormous contribution of the tourism sector to the socio-economic development of the Caribbean and is pleased to support CTO’s initiatives to promote a climate smart and sustainable Caribbean tourism industry. The recent Intergovernmental Panel on Climate Change Special Report-Global Warming of 1.5 0C underscores that climate change impacts on natural and human systems have already been observed as a result of approximately 1.0 0C of global warming from human activities, and climate-related risks to health, livelihoods, food security, water supply, human security and economic growth are projected to increase with global warming of 1.5 0C and increase further with 2 0C. Therefore, building local, national and regional capacities of key tourism stakeholders is crucial to enhance resilience to climate-related risks and to ensure the sustainability of the tourism sector”, said Dr. Yves Robert Personna, project manager ACP-EU-CDB NDRM programme. Other activities of the CSSCTI project include updating the Caribbean Sustainable Tourism Policy Framework and producing a compendium of Best Practices in Sustainable Tourism; an ongoing regional tourism education and awareness campaign delivered through social media and a televised video series; and a feasibility study to inform the needs related to climate services in tourism. In addition, a regional workshop was held last month, which brought together hotel and tourism association executives and officials from ministries of tourism and tourism authorities from CTO member countries. The workshop facilitated the review and validation of the disaster risk management guide, the updated Caribbean sustainable tourism policy framework and other project related manuals, by the tourism sector decision-makers, which aimed to obtain their input, enhance awareness and foster utilisation of the updated manuals. The project is expected to be concluded by mid-2019. The Caribbean Tourism Organization (CTO), with headquarters in Barbados, offices in New York and London and representation in Canada, is the Caribbean’s tourism development agency comprising membership of the region’s finest countries and territories including Dutch, English, French and Spanish, as well as a myriad of private sector allied members. The CTO’s vision is to position the Caribbean as the most desirable, year round, warm weather destination, and its purpose is Leading Sustainable Tourism - One Sea, One Voice, One Caribbean. Sharon Parris-Chambers, editor-in-chief of Caribnewsroom, is an award-winning radio broadcaster and writer for the travel trade and wellness industry.